What do digital cameras, Steve Wozniak, and myself have in common? Well...I will tell you. People ask me how I got started as a photographer, and they want to know what equipment I started with. I usually start my story at my first digital SLR, which was the Olympus E-10. But, the story and my love of photography started in a unique way and much earlier than that. So join me as I look back at my digital camera evolution throughout the last 20 years. In 1996, I started with one of the first point and shoot digital cameras. This unit was the Ricoh RDC-1, and it was REALLY expensive. This camera was purchased in Japan by my good friend, Steve Wozniak (the founder of Apple Computer). Woz and I became friends almost 30 years ago, and he is an incredibly generous man who gave me this camera, along with the LCD option and a manual all in Japanese. He and I spent a lot of time staring at that cryptic manual and trying to figure out all the features. Believe it or not, this camera cost around $2000 at the time and it was not even one megapixel. BUT, it was the first time I was able to capture digital photos and video and I was hooked! After the RDC-1, Woz and I upgraded to the RDC-2. At this point, I had contacted Ricoh in the United States and made some friends there. They were able to supply us with English manuals for this camera, even though we purchased these cameras in Tokyo and all the buttons and menus were in Japanese. (At the time, you could not get these cameras in the U.S.) We also upgraded to 48MB cards and thought we were styling! You are probably looking at this photo and thinking "Huh? What is a video camera doing here?" 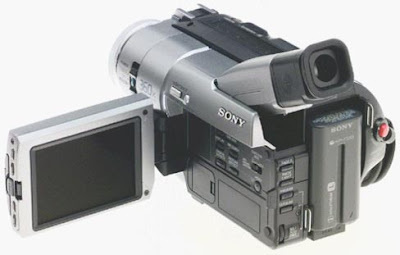 Well...this is the Sony TRV-900 camera and it could shoot video to tape and still images to a memory card. This was from yet another trip to Akihabara (otherwise known as Electric Town in Tokyo) with Woz. And I actually used this to take some of the early digital photos of my kids. This camera had a great zoom and take reasonable photos. That was pretty unique at that time. As you can probably tell, Steve Wozniak had a huge influence on the early days of my photography. 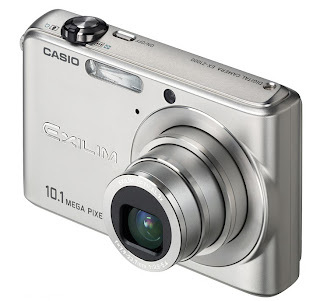 And, I remember the day that he showed me the Casio Exilim EX-S1. It was so incredibly small that I was blown away! I could not wait to get one of these for my travels, and I took this camera everywhere with me. It was so small, that you could slip it in your pocket and almost forget that you had it with you. Seriously, this was so cutting edge at the time. This was during a time when everything was getting smaller and more high-tech, including TVs, pagers and cell phones. After a while, we upgraded to a slightly larger version of the Casio Exilim, with a higher megapixel sensor and an optical zoom. This was a much better camera than the EX-S1, but since it was much larger than the original, there was still a piece of me that missed the engineering marvel of the EX-S1. Then came the year 2000. Remember Y2K? Olympus came out with the E-10. This was the first "serious" digital camera that I ever used. It did not have interchangeable lenses, because Olympus did not want users to have to deal with dust on the sensor. But the optics were excellent and the 4 megapixel images were very good. And, it was with this camera that I took my first "money shot." I remember it well, it was a photo of my young daughter drinking from a water fountain, and it was so sharp! After using the Digital Rebel for a couple of years, I was ready to move up to my first "serious" DSLR. I was looking at the Canon 10D, but heard rumors that the 20D was on it's way. I waited for a little while, the 20D was announced and I made the investment. 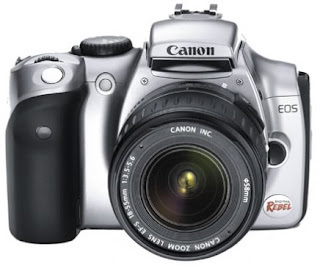 This was my first DSLR with a metal body and was faster than the Rebel. And then, in the years that followed, I would upgrade to the next camera body, including the 30D and 40D. At the time, the main reason for my upgrading was the increased megapixel sizes. 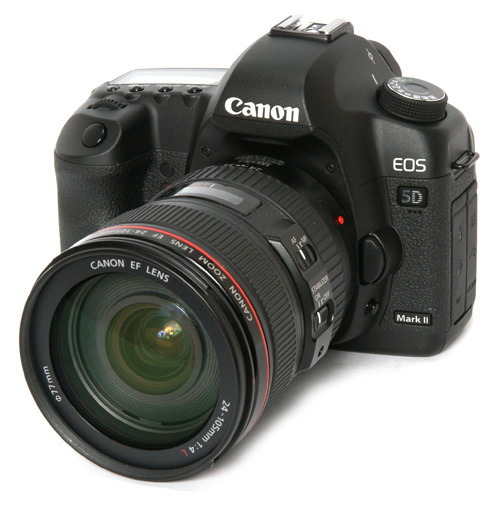 Then in 2009, Canon announced the 5D Mark II and it was love at first site! This was my first full frame camera and I was blown away at the quality of the images. At this point in my photography career, I was less interested in the megapixel count and more interested in shooting images at higher ISO and getting clean results. I really feel that this camera was the tool that helped me get to where I am today. 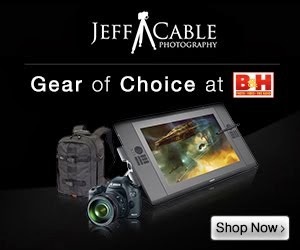 I loved it so much that I purchased two of them to build my photography business. And now, after looking at the past 17 years of camera evolution, we arrive at my latest cameras of choice. When the 5D Mark III first came out, I purchased one of them, thinking that I would use this as my primary camera and use one of the 5D Mark II cameras as my second body. Well...as it turned out, that did not last very long. In almost no time, I became so comfortable with the new interface of the Mark III and having the expanded focus points, that I found it difficult to go back to the Mark II. So after only a month, I purchased a second Mark III. And lastly, it is the big boy, the Canon 1DX! I first used this camera (on loan from Canon) at the London Olympics in 2012. Actually, I had a prototype of the camera for a month before the Games, and learned all of the important features so that I would have a chance to get to know the camera settings and new features. Trust me, you don't want to show up to an event as big as the Olympics and try to figure out a new camera. After using a couple of these camera bodies for the month in London, I knew that I needed one for my business. 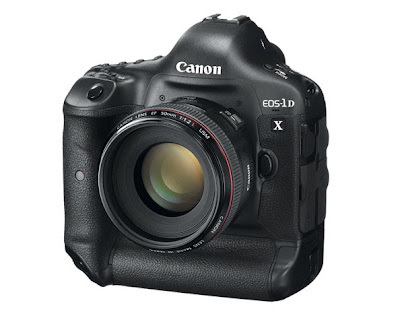 I do use the 1DX in combination with the 5D Mark III bodies when shooting events, like Bar Mitzvahs and weddings. But for sports, it is almost always the 1DX, with it's ability to shoot 14 photos per second. And now comes the big question: What's next??? Another lovely article Mr Cable. Having owned a countless amount of snap cameras i decided to get serious. This year i took my first step into serious photography and bought a Canon EOS 7d and love it. Do you still have these cameras? It would be pretty cool to break them out, and take a few pictures with them. 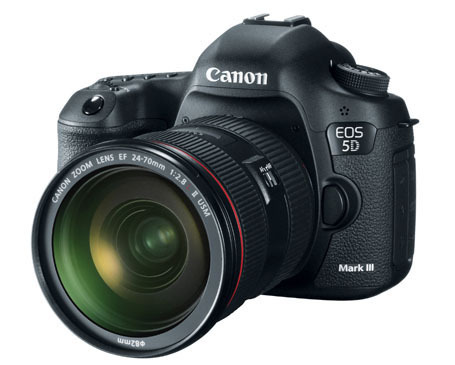 5D Mark IV!! :) I love Canon and really wanted to spend the money on the 5DM3, but chose to go Nikon and the D800 route to invest in glass. Thanks for exploring best range of digital cameras by famous brand. 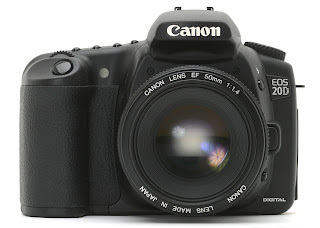 Last year i purchased a digital camera and this one is seems to be the latest digital camera. there have penalty of massive evolution of digital cameras pictures thanks to share this kind of great blog.